- Starts Just @ € 42.00* /mo. ScopeHosts offers its Netherlands Dedicated Servers with a wide range of server configurations. You can customize RAM, Bandwidth and Hard Drives as per your business needs. We have latest basic to Hybrid Intel Processors, which can handle any intensive workloads. We operate in one of the Top Tier Datacenter GreenHouse - Naaldwijk, Netherlands, which has data floor of more than 97,000 Square Feet. The datacenter is Highly Secured with Robust Network exchanges connectivity and is certified with ISO 9001 - ISO 270001 certification. Along with ensuring extreme continuity in case of emergency and capable enough to handle disaster recovery. Our Netherlands Dedicated Servers are backed up with state-of-the-art global network comprising 39 Internet Exchange peering points and 57 points of presence across Asia, Europe and USA. Together with private peering and global transiting arrangements with an impressive core Uptime of 99.9999% and 5.4 Tbps Capacity. We don’t bind our clients with long term contracts, client can choose flexi monthly contracts. We provide Unmetered Servers, 100TB Servers and 10Gbps Servers with 100Mbps, 1Gbps and 10Gbps Volume network connectivity. 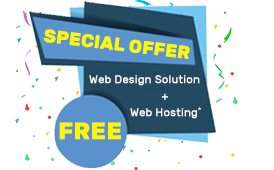 Be a freelancer or a big enterprise, we have best Hosting solutions for you. Servers with 100Mbps Volume Network Line. Servers with 100TB Bandwidth and High Network Connectivity. Servers with 1Gbps Volume Network Line. 10 Gbps Volume Network Line with 95% percentile. Say goodbye to downtime, increase the performance. We pilot your business to Sky High with our Best Dedicated Server Hosting. A Remote Handling Panel is provided to monitor and control server functions like Reboot, Bandwidth Check, RDNS. We have large number of Internet Exchange peering points, present across Asia, USA and Europe for best network connectivity. Our support staff present 24/7 to handle any kind of queries. We have online knowledge base also available to assist efficiently. We are located in Evoswitch datacenter with low PUE and which offers best in security, connectivity and sustainability. ScopeHosts Dedicated Hosting gives you physical servers which are super powerful for your needs. Also get custom hosting solution. Be safe with our servers as we offer Standard 1Gbps DDOS protection is provided with any server ordered. All IP`s are DDOS protected. "Scopehosts provides good hosting at very cheap and competitive prices for those who don't want to spend too much for creating a brand new site. Scopehosts hosting plan looks much attractive compared to other hosting service providers." "Scopehosts is really the dad of all hosting Service Providers. Highly recommended to those who are new to hosting industry." "Scopehosts has been great to deal with when it comes to dedicated server hosting. I have had a good experience for a number of years which is why I continue to renew my service as well as introduce their services to more of my friends." 1.Where are your Netherlands Dedicated Servers located ? Ans: We operate in Top TIER Evoswitch Datacenter, located in Amsterdam. Advanced datacenter with best-in-class security, connectivity and sustainability. 2. Can I install Windows Operating System on my server ? Ans: Yes, you can install windows OS. During your order process, you can opt the windows OS option to be installed. Also you can change the existing server os to windows by raising a support ticket. 3. What control panel do you provide me to control my server resources ? Ans: You can choose among the cPanel/WHM panel, Directadmin panel or Plesk panel. We do not provide any control panel for free. These control panels are provided as addons. You can opt the suitable control panel during the order process or also you can order for any panel in the later stage. 4. How long does it require to deploy my server ? Ans: It takes maximum of 1 to 5 working days to deploy your server. We will not make you wait for too long. 5. What Windows Operating System template do you offer ? Ans: We provide Windows 2008 R2 Standard, Windows 2012 R2 Standard, Windows 2008 R2 Datacenter and Windows 2012 R2 Datacenter OS templates. 6. How do you offer the support ? Ans: We provide the best hosting support through Ticketing System, Live chat, Skype and Emails. We are available 24/7 to provide you with valid solution and resolve your query as soon as possible. Also you can call us at +91-0836-425 4321. 7. Do you offer free trial with servers ? Ans: No, we do not offer any trial period. You are free to subscribe with our dedicated hosting service whenever required. Also we do not impose any minimum contracts on our service subscription. You can choose any flexible monthly service plans. 8. Do you offer moneyback guarantee ? Ans: No, with dedicated server hosting we do not offer moneyback guarantee. For more details you can contact our support experts. 9. Can I use my server for bulk mailing ? Ans: We consider bulk mailing as spam. We do not support any kind of email marketing or sending of emails in bulk. If you use your server for bulk mailing then your service will be suspended. Hence make sure to read Acceptable Usage Policy page before subscribing with our hosting service. 10. Is the Netherlands Server DMCA friendly ? Ans: No, Netherlands servers are not DMCA-friendly. Only the Russia servers are DMCA-friendly servers. 11. Can I upgrade or downgrade the hosting package when needed ? Ans: Yes, you can upgrade or downgrade the package whenever you wish. You can do so through your client area or through the control panel you have opted. Also you can contact our experts to get clear idea on how to upgrade or downgrade the resources. 12. What payment modes you accept ? Ans: We accept PayPal, WebMoney, Bank Transfer, PayU, DotPay, UnionPay, Qiwi, iDeal, Yandex.Money, AliPay, TrustPay & GiroPay. 13. Will I get full root/administration access over the server ? Ans: Yes, you will have full root/administration access over the server. You can control and monitor the activities of server and its resources utilization. 14. Does the servers come managed ? Ans: No, our servers are unmanaged. If you require management service, then you can purchase the complete management service by our hosting experts as addon. 15. How many extra IP can I order with my Netherlands Server ? Ans: You will get 1 dedicated IP and 15 more extra IP to order with dedicated servers. 16. Can I host any type of content on my server ? Ans: As you have the full root/administartion access over the server you can host any content but make sure that the content you will be hosting abide to the terms of service imposed by ScopeHosts. Hence read our Terms of Service page before hosting any content which can be termed as illegal in the future. 17. Can I use dedicated servers for video streaming ? Ans: Yes, you can use Netherlands dedicated servers for video streaming. Also you can use servers as game servers, VPN servers, chat room server, Application server and more. 1. Where are your Netherlands Dedicated Servers located ?